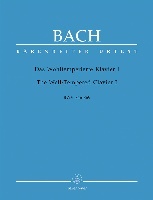 The Clavier-Übung III, sometimes referred to as the German Organ Mass, is a collection of compositions for organ by Johann Sebastian Bach, started in 1735–36 and published in 1739. It is considered Bach's most significant and extensive work for organ, containing some of his musically most complex and technically most demanding compositions for that instrument. In its use of modal forms, motet-style and canons, it looks back to the religious music of masters of the stile antico, such as Frescobaldi, Palestrina, Lotti and Caldara. 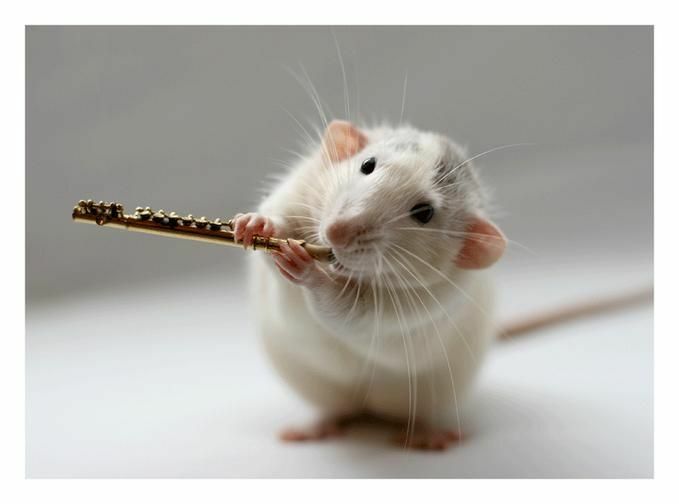 At the same time, Bach was forward-looking, incorporating and distilling modern baroque musical forms, such as the French-style chorale. The work has the form of an Organ Mass: between its opening and closing movements—the prelude and "St Anne" fugue in E-flat, BWV 552—are 21 chorale preludes, BWV 669–689, setting parts of the Lutheran mass and catechisms, followed by four duets, BWV 802–805. The chorale preludes range from compositions for single keyboard to a six-part fugal prelude with two parts in the pedal. The purpose of the collection was fourfold: an idealized organ programme, taking as its starting point the organ recitals given by Bach himself in Leipzig; a practical translation of Lutheran doctrine into musical terms for devotional use in the church or the home; a compendium of organ music in all possible styles and idioms, both ancient and modern, and properly internationalised; and as a didactic work presenting examples of all possible forms of contrapuntal composition, going far beyond previous treatises on musical theory. The dominant tone of this carefree chorale trio is one of jubilation. This is logical, as the hymn that lies at the heart of this piece is based partly on the singing of the angels from the Nativity. 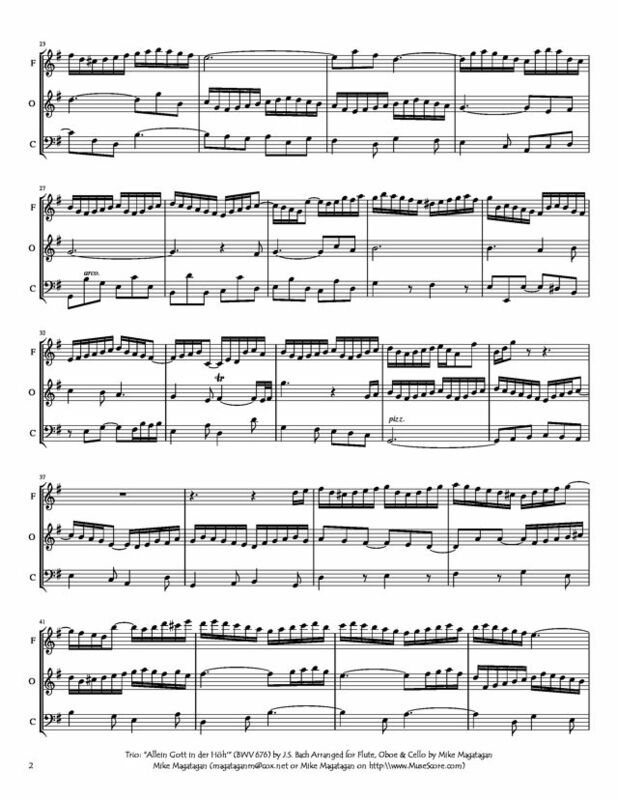 The melody is constantly present, and the opening theme is in fact an embellished version of the first line. 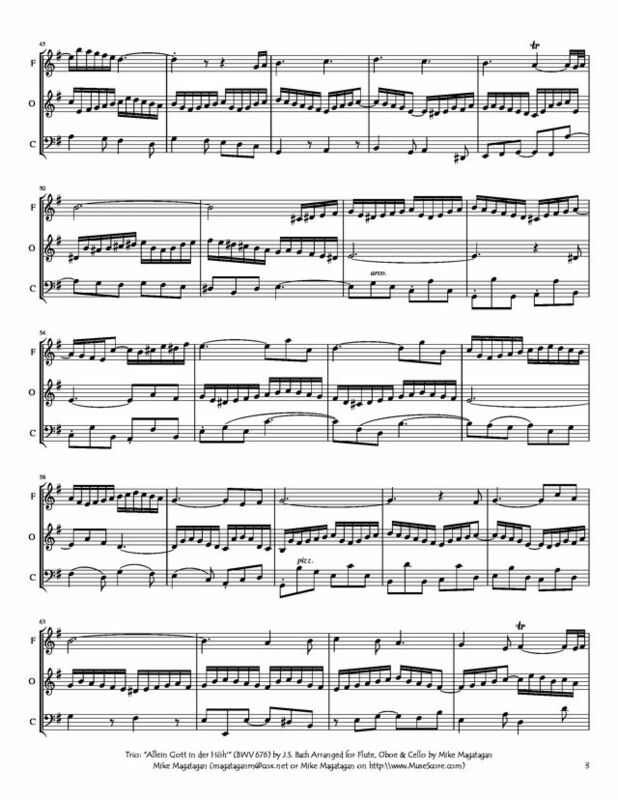 Moreover, Bach weaves the whole melody into the piece line by line, in long notes, and at a certain point even repeatedly in a short canon between the bass part and one of the upper parts. The hymn held special significance for Lutherans and was sung every Sunday. The words and the melody are based on an older hymn: the Gloria – one of the regular hymns in the Latin Mass. Luther himself said that the words of the Gloria were not written by human hand, “because they did not originate on earth, but were brought down from heaven”. After all, according to Luke the Evangelist, they are the words sung by the angels after the birth of Jesus: “Glory be to God in the highest, and on earth peace, good will toward men”. At the end of his compositions, Bach often used a shortened version of these words, ending his score with the letters “SDG”; an abbreviation of the Latin Soli Deo Gloria. 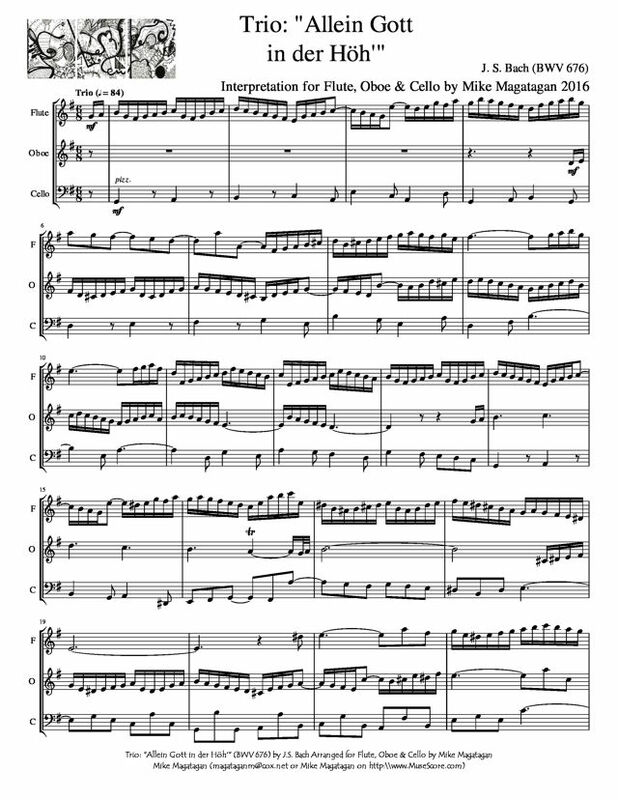 Although originally created for Organ, I created this Interpretation of the Trio (BWV 676) "Allein Gott in der Höh'" (All glory be to God on high) for Flute, Oboe & Cello.